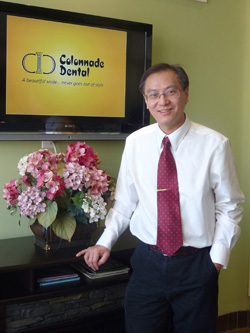 Dr. Vincent How-Chun-Lun graduated as a Doctor of Dental Surgery from the Faculty of Dentistry at the University of Western Ontario in 1992 and completed his residency at the London Hospitals. He received the Quintessence Research Award, the Toronto Academy Crown and Bridge Study Club Award and the Association of Prosthodontics of Ontario Award. Dr. How has been practising dentistry in the vibrant city of Mississauga for over 20 years and is proud to serve the G.T.A and surrounding areas. He is very passionate about dentistry and keeps updated with current technologies and dental practices through ongoing continuing dental education. He is a member of the Ontario Dental Association, Canadian Dental Association, International Orthodontic Association and Halton Peel Dental Association.